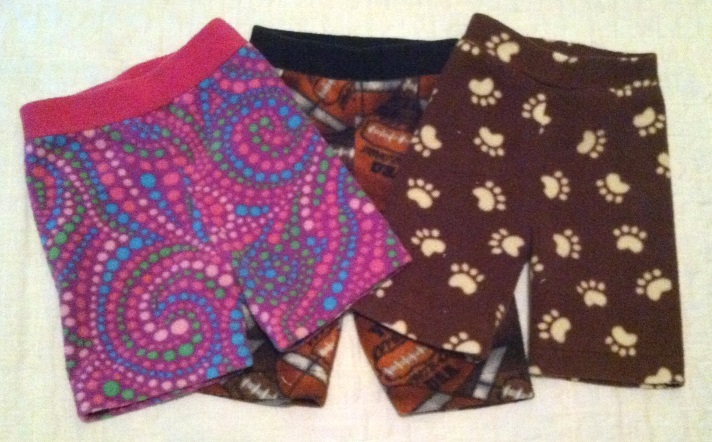 Fleece shorties and longies are an inexpensive addition to any cloth diapering stash. Mix and match prints and solids to create a custom look that is uniquely you. These covers can be used over fitted diapers, flats, prefolds, disposables, and even training pants. They are a versatile solution to prevent leaks and provide a breathable cover for delicate baby skin. They also make great pajamas or play clothes! Inseam Length Choose an option*custom1"2"3"4"5"6"7"8"9"10"11"12"
What’s so special about fleece covers? – They are inexpensive so you can have lots of cute colors and prints. 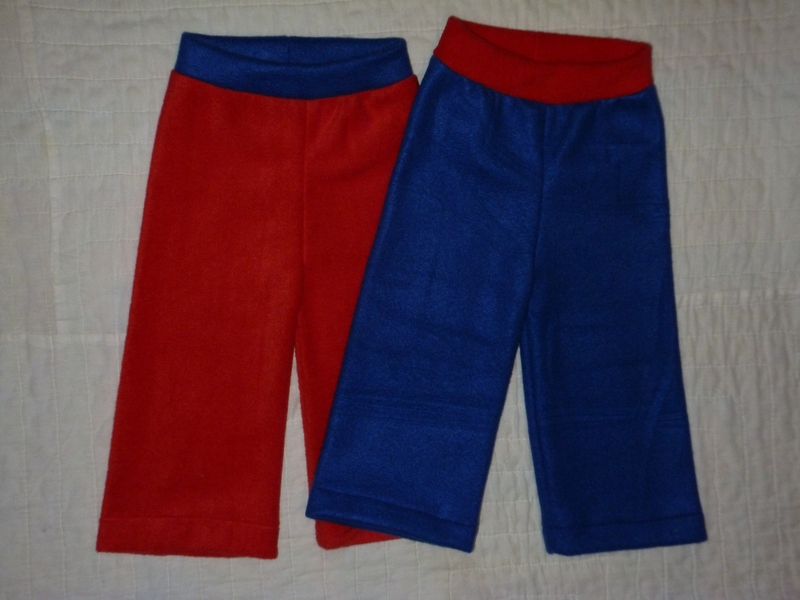 – Unlike PUL, fleece is breathable and allows air to wick moisture away from sensitive skin. – Unlike wool, there is no special care needed. Simply place soiled covers in the wash with your other diapers. – Fleece is naturally stain resistant and does not fade with time. These can last through many kids! 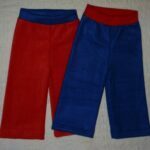 – They can be used as a cover for cloth diapers, a cover for disposable diapers, extra protection for heavy wetters and overnight use, a cover for cloth training pants, and are great for cute photographs too. 100% Polyester Anti-Pill Fleece – To help prevent pilling, turn soakers inside out, machine wash on gentle, and tumble dry on low or air dry. Please view my size chart here. Custom sizes available, just let me know! It’s best to go up a size if you’re in doubt. Please measure over whatever diaper you will be using under the soaker to ensure the best fit. Check out my gallery for the most current in-stock fabrics. I do custom orders, so let me know if you’re looking for something in particular and I’ll do my best to get it for you! I ship first class mail with tracking. In stock orders ship within 48 hrs of payment and custom orders ship within 3-4 days. Contact me for express or priority shipping. Handmade by me using the Katrina Soaker Pattern in a dog friendly, smoke free home.